Happy New Year from Kinetrol USA! 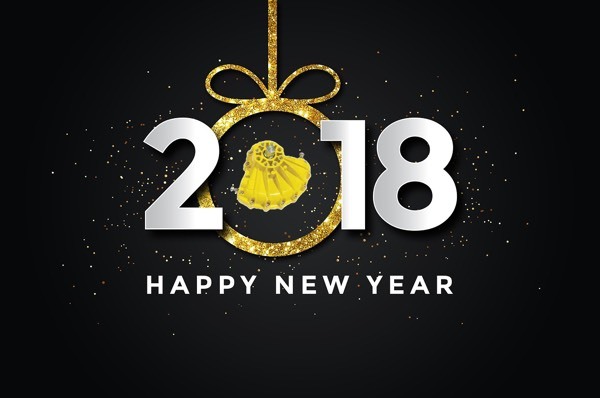 All of us at Kinetrol USA wish our customers, distributors, colleagues and friends a very happy and prosperous 2018! Durable Blueline coating meets FDA and BfR L1 specifications. Integral vane/shaft casting - only one moving part. Here's a new Kinetrol vane actuator feature video. Please take a minute to watch. Hope you enjoy. 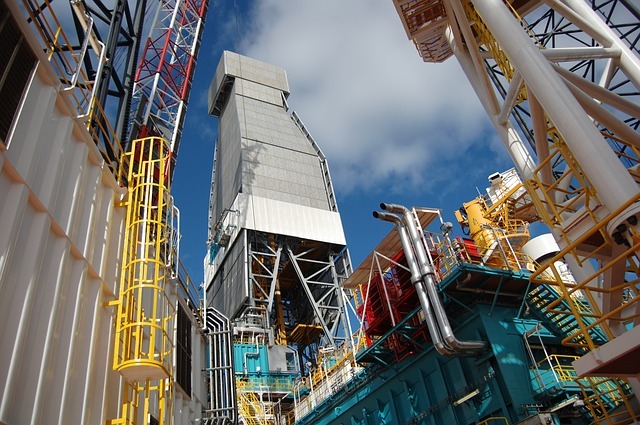 Offshore oil rigs present special challenges for valve and damper actuators, namely high vibration, limited space, and salt-laden atmospheres. 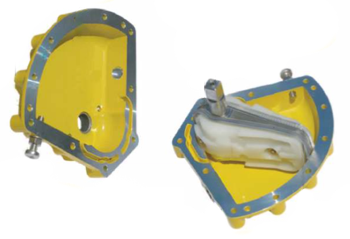 Corrosive marine environments takes a harsh toll on the internal parts of actuators. 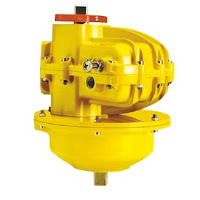 Continuous exposure to salt quickly corrodes the external housing and inevitably enters the actuator and corrodes the internal springs and gears. Constant structural vibration, caused by the dynamic forces generated by compressors, pumps, and engines, leads to poor equipment reliability and eventual failure. Pulsating and shaking forces expedite wear on mechanical connections such as gears and yoke mechanisms, with many gear failures due to resonant vibration. Oil platform actuators, control valves, safety valves, and piping systems are configured very similarly to their terra firma cousins, with the major difference between land and platform equipment being reduced weight and size. Space is at a premium and it is critical to keep equipment as compact as possible. Kinetrol rotary vane actuators provide an excellent solution, well-suited for off-shore and marine applications. A durable epoxy stove enamel finish and corrosion resistant zinc (non-incendive) or aluminum alloy case protect the actuator from the harsh environment. Size comparison for similar output. 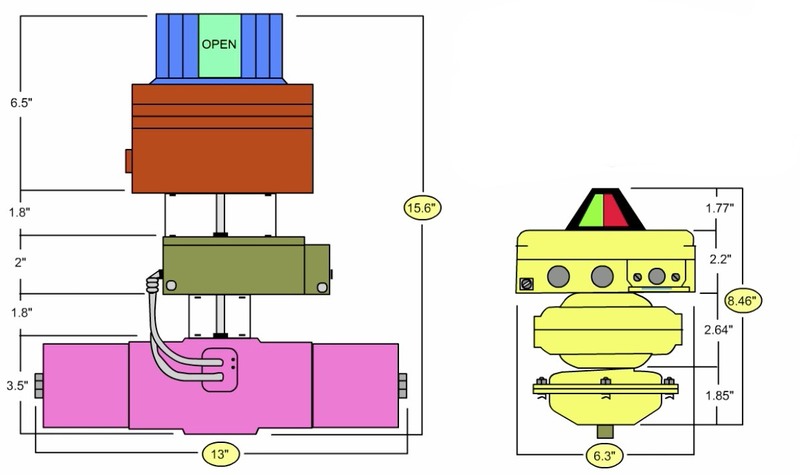 The integral vane/shaft casting (a single moving part) and space filling/energy absorbent sideplates (polymer or metal) protect the actuators from the vibration, shaking, and shock. Finally, Kinetrol vance actuators only require 1/3 to 1/2 the required installation space of similarly equipped rack and pion actuators. For more information, contact Kinetrol USA by visiting https://www.kinetrolusa.com or calling 972-447-9443.